3 months ago Great shirt. Perfect fits. 4 months ago Yo la pedí en Extra Slim Fit y me llegó Classic Fit. 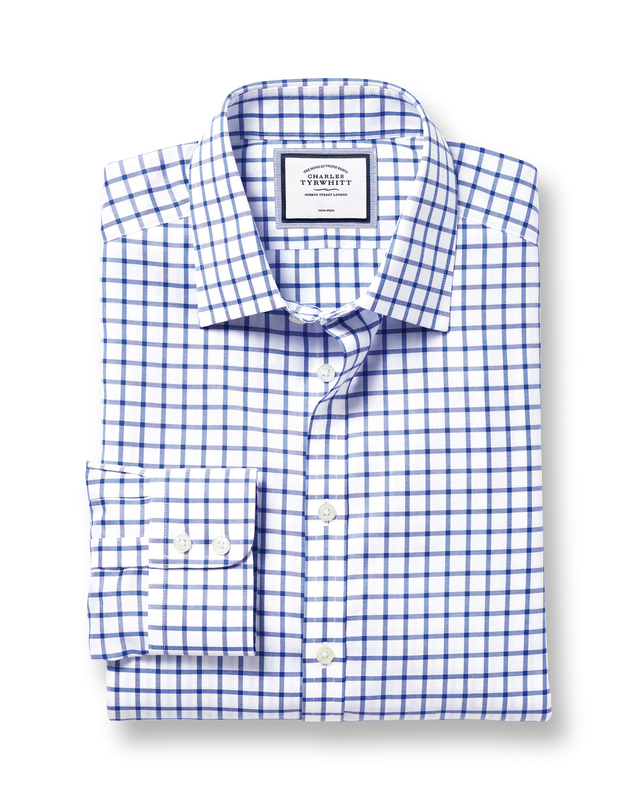 Response from Charles Tyrwhitt: While I am glad that you were able to successfully receive your order, I apologise for our warehouse error, and I have arranged for the correct fit to be sent out to you immediately. Please return your incorrect shirt at your earliest convenience using your free returns label, and I hope that you enjoy your new shirt. 5 months ago Great shirt. Awesome fit, good feel. 6 months ago Perfect fit, actual appearance closely matched image in catalog and on screen.